This page is dedicated to small furry creatures from Alpha Centauri playing go. BlueWyvern: Apparently, those Small Furry Creatures From Alpha Centauri have developed some wacky fuseki ideas. 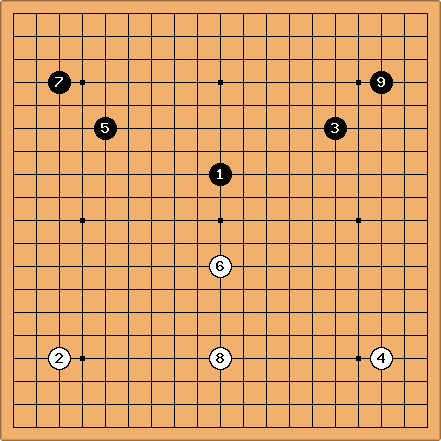 GoldenFox: They also have odd ideas of joseki. 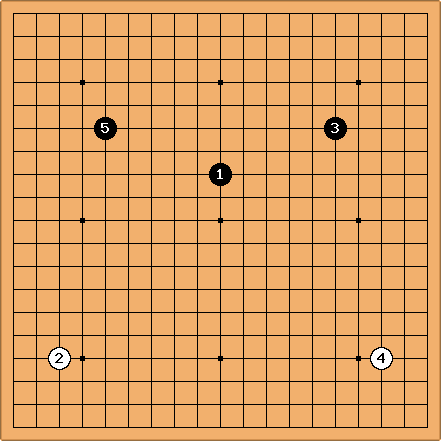 Since 1 and 2 are miai, when Black takes one of them, White "handles the situation" by occupying the other point. Black 1 may sometimes be used as a skillful testing play; if White answers as in the diagram, Black will know that she is indeed a REAL small furry creature from Alpha Centauri. As should be evident, the go theory of Alpha Centauri is not underdeveloped as such. Alpha Centauri houses players at around Terran shodan level, but because of subtle differences in thinking, their unbeaten champion is said to be 43kyu by Earth standards. :P This probably is not correct, since I don't know Japanese at all.